For years, many have claimed that the crossbow is superior to the compound bow and therefore should not be allowed in the regular archery season. Allegations that the crossbow is deadly-accurate out to a hundred yards making it nothing less than a rifle that shoots arrows are still common place among the uninformed. It has also been claimed that the crossbow is unsafe, too easy to shoot and more efficient than compound bows. If all these assertions are indeed true, then it would seem that the crossbow does have a distinct advantage over its vertical brother. Now those of you that shoot and hunt with a crossbow on a regular basis are fully aware that these claims are a frivolous attempt to discredit and ban a very practical hunting tool that has been proven to be a great asset to our hunting community. Firsthand experience has taught you that the crossbow is very comparable to a compound and in some situations, not up to par with the vertical bow. The ballistics of the majority of vertical bows are superior to the majority of crossbows. The mystical ingredient is the power stroke. Even though a crossbow has a heavier draw weight, the power stroke is much shorter. It is the power-stroke that generates the kinetic energy that is stored in an arrow as it is launched at its target. Kinetic energy is the fuel that delivers the speed, range and impact to the arrow. The average power stroke on a crossbow is 14-inches compared to 25-inches on a compound. With the string pushing the arrow for an extra 10-11 inches, the vertical bow is delivering maximum kinetic energy far superior to that of a crossbow. Another claim made about the crossbows is that it is less safe than a vertical bow. Truth of the matter is that crossbows are just as safe as vertical equipment, if not more so. Ohio has had a crossbow season for 33 years. 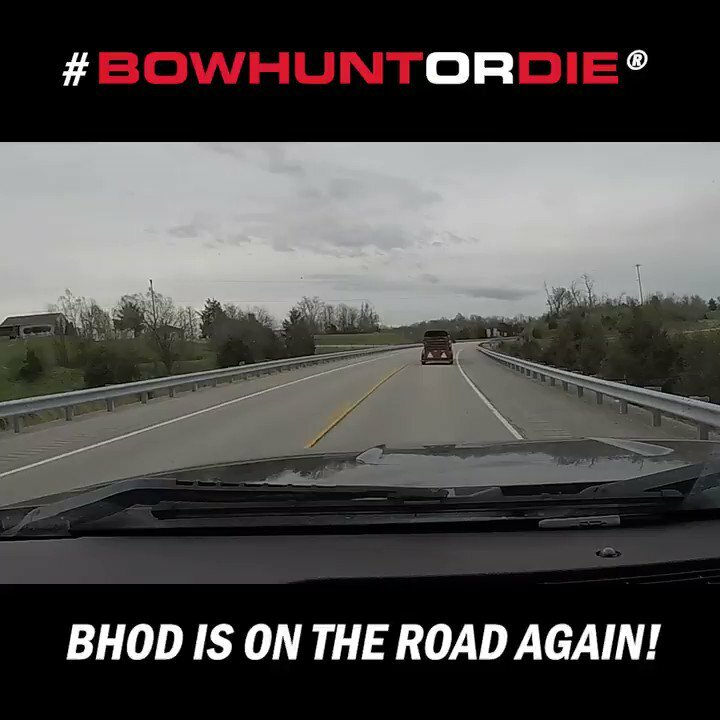 The fact is that there are more crossbow hunters in Ohio than there are vertical bowhunters, yet the documented injuries from each bow are virtually the same. Each has approximately the same number of fatalities and the approximately the same number of injuries based on documented history. How then, can anyone claim that crossbows are less safe than vertical bows? It would seem to me that those making such claims are either afraid of crossbows or ignorant about them, perhaps both. and be taken seriously just be? Another area of difference that keeps surfacing is the fact that crossbows are too easy to shoot. If, by easy, one means easy to learn the basic mechanics of the tool and to become comfortable with using it, I must agree with the claim. That is one of the redeeming things about the crossbow. In a half hour to an hour on the range, anyone should be able to have the basic mechanics down and be shooting tight groups at 20, 30 and even 40 yards. At that point, there will still be many rough edges to file down, but the shooter should have a firm grip on the basics. However if “too easy” means it is too easy to use in the field and from the stand, then the person making that statement has never had a crossbow in their hands. The crossbow is heavy, cumbersome and awkward to handle in the stand compared to a vertical bow. The physics of the crossbow make it difficult to steady when shooting, which makes the crossbow less accurate than the vertical bow. Documented final scores turned in on the range at IBO and NFAA tournaments (both allow the use of crossbows in their national competitions) by the pros definitely prove that the vertical bow is more accurate than the crossbow when shot freehand. Maneuvering a crossbow the stand is another big disadvantage. A cocked crossbow is uncomfortable to hold on your lap because of its shape, extra bulk and weight. Because it is front end heavy, it is more difficult to hold steady when shooting. Without a rest to steady the shot, the crossbow is not as accurate as a vertical bow. Scores shot by the pros at IBO and NFAA tournaments document that fact because crossbows scores are lower than those shot by compounds. The “less accurate” fact is also why the claim that crossbows are more efficient is also untrue. The more efficient implement of the two is definitely the compound bow. When it comes to exhibiting a high ratio of output to input, the crossbow falls behind its vertical brother. With a vertical bow second and even third shots are commonplace, but not with a crossbow. Greater distance, flatter arc and less kinetic energy are all reasons the crossbow is less efficient than the modern compound bow. The similarities of the two, however, are very easy to see when one looks at the other side of the coin. They both shoot an arrow and they are both short-range weapons, for most users, 40 yards or less. They are both fun to shoot bringing big grins and great adventure to those that are devoted to them. The both play a key role in recruitment of new hunters of all ages and both sexes, worldwide. Bottom line is that whether you are into vertical archery or horizontal archery, they are both archery. Excellent analysis! I have hunted with rifles for 40 years and I am now looking at trying the archery approach. I have heard so many conflicting pro's, con's and mis-information about the two types of bows. I was begining to wonder if any one truly knew the difference and could lay those differences out in an un-biased technical fashion. I am an avid female deer hunter with my rifle and muzzleloader. My state will legalize crossbows this year so I am considering my first purchase of a crossbow vs. compound bow. Excellent analysis of both. This article should prove helpful with my future purchase. I shoot both compound bow and crossbow and there are major differences between the two, however, just as this fine article mentions, crossbows are by no means deadlier, more accurate weapons than compounds. Crossbows feel like rifles because there is actually no drawing that takes place before the shot. Having shot both types of weapons myself, I have trouble believing anyone who claims there are no differences between the two. Whether or not the differences matter enough to seperate them for different seasons is arguable. But the plain fact of the matter is they are two very different types of weapons. A crossbow hunter will never know what it means to "fill" their arms with their bow. They'll never understand the feeling of drawing the bow with their own full strength and drivng the arrow fierce and swift to the heart. It's because of this mind set they are so quick to dismiss these acts as being a significant part of bowhunting. I participated in a draw hunt here in Texas at a WMA this past week. I have hunted for 4 years with a crossbow because I can not pull a compound bow (shoulder injury). I successfuly harvested one of 6 deer out of 60 hunters. In addition, I harvested a 100-lb. hog. My success was due more to my work in preparing for the hunt and applying years of hunting experience rather than the choice of weapon. Both vertical and horizontal bows are good choices and take time to become competent with, although vertical bows take more talent. But in the end it still remains the hunter's responsibility to take ethical shots within their skill and distance range. Getting in position for a deer or other game animal to present themselves within shooting distance is still the main challenge. The the primary difference between the crossbow and the compound bow, is that the compound bow requires more practice to acquire a superior skill-level. Another difference, is the upper body strength and manuverability required for the compound bow. All of you with this and that opinion of "what's more Sportsman like" to use to get the meat on the table,and puting each others choice of what kind of Archery Bow is the most challenging and need of Special talent and or ability to use need to put a sock in it!! Who really cares?! To each his own! Let's All just get out there and have fun getting what we enjoy to eat on our thankful family table with what is Legal and avilable to us. And Be Careful out there please, I might be out there to! If you want to take the easy way out use a crossbow. I heard the same comments when we were using recurves and ompound came out. Take the easy way out and use a compound. As long as we keep having people able to hunt instead of decling numbers, hat diference does it make. Just shut up and hunt safely and have fun. I agree with the article. A compound bow is superior to a Crossbow. That is why I decided to put a Draw-Loc on my Mathews. Best move I ever made! If you can hunt with either/both, then do it. Don't criticize, just hunt! This is like comparing apples to oranges.. I like apples and hate oranges. Lets see how this works… longbows to recurves to compound bows=rants. Compounds have more of an advantage. Ground hunting compared to using treestands=rants. Treestands have more of an advantage. Rifles over shotguns, inline muzzleloaders over traditional smokesticks. Gi camo over 3d camo. Scent killers, baitpiles, trigger releases, deer carts..etc. My cousin was so happy he got his 6 point last year. He gets out 15min before sunrise and jumps on his atv to enter his hunting grounds. It takes me 45min on foot to get to mine. It took him 30 min to get his kill out off the woods and back to camp… Me 3hrs..Welcome to the NEW world of hunting. If you dont like the upgrades… dont do it and stop complaining. I already know the feeling of shooting a flatbow, and most archers I know use compounds with let off anyway; hardly the same thing as shooting home made wood arrows with obsidian tips. You can go as primitive as you like with a crossbow, it was designed over two millenia ago. It's a great and ancient weapon. Being new to crossbows, I never realized the outright animosity many bow hunters have towards crossbows. The root of which appears to be found in crossbows being allowed during archery season. While the arguments over skill and sportsmanship come up, it boils down to the number of hunters in the woods. I find the concept of bow hunters (or more primitive hunters) being better sportsmen to be absolutely ludicrous. If skill/challenge is your argument, then feel free to handicap yourself to your hearts content. I'm sure you'll find it more difficult and quite rewarding to hunt with spears and slings as well. Those bow hunters that feel they are entitled to a "special" season all to themselves are free to lobby it all they want. I'm sure they feel entitled to it. If you think that you is better cuz use bow, why dont use one longbow? Just Hunt has it, hunt how you like and be proud that others enjoy a primitive style of hunting like yourself instead of going out with an assault rifle and calling it hunting. Unless you hunt with a hand crafted long bow and construct your own arrows from scratch you have no room to talk. I think to each his own I hunt with both crossbow and compound bow and find there are challenges to using both but I wont put anyone down for using either .We have enough trouble with folks like PETA and other groups to turn on each other because it will take us all to keep our hunting rights. Well said Redneck. I used a crossbow for one season while recovering from a shoulder injury. Couldn’t wait to get back to my compound bow. I am wheelchair user and now-a-days I use a crossbow because of bad shoulders. Should I (or the older person who can no longer pull a "real bow" or any other physially challanged person)quit hunting because using a crossbow is not "real hunting"? Please, some of u "real hunters" define hunting for me! I thought hunting was scouting and finding a place where game might be, then getting to your spot and enduring the eliments until hopefully u can get a clean kill shot. So far all i've read or heard is about the weapons which should or should not be used for the kill shot. Redneck is dead on. We already have too many anti-hunters trying to eliminate our sport. Let's all go out, take our kids, and hunt the way we feel most comfortable with. Be safe! I would like to get into either archery, cross or compound bows, maybe in the future to hunt. I would like to find out how to know which would be best for me to start out with? Thanks for any input. By the way, my first deer was a ten point I got with a 20 gauge! As someone new to hunting I am interested in getting a crossbow, I feel that there are several aspects of the sport to learn and until I have a certain level of mastery over them, crossbows offer a learning curve advantage that will make it easier for me to get involved in the sport. i am not trying to impress anyone and could care less what anyone thinks about it. I know a lot of seasoned hunters who can't even butcher their own deer, that seems more ridiculious to me than what type of bow you used. After 4 decades of competitive archery and Bowhunting vertically I've purchased my first Crossbow. I would much rather use my Compounds but can't draw even 50lbs do to a Shoulder injury. I remember when Compound Bows came out and I considered it cheating so much so that after a car wreck made it impossible for me to draw my recurve I quit Bowhunting for several years. I lost out on many good years of Bowhunting because of my own ignorance an narrow mindness. I own a use many firearms but hunt almost exclusively with a pointy stick and string. Gotta get my Crossbow and get on stand…….May your arrows always fly true. Here in PA the new crossbow season has resulted in a boom in crossbow sales. They are being bought by people who want to kill deer wihtout the effort required by a vertical bow. I am tired of hearing the crossbow claims of 80 yard killing shots. They simply don't have the momentum to put an arrow through a deer at longer distances. I really get cranked up when I see them shooting light carbon arrows and mechanical broadheads. If you do shoot a crossbow, please shoot the heaviest arrow you can get and a cut on contact broadhead. And don't forget to check to see how much difference the broadheads affect impact. I don't want to be blamed for your crippled deer! Just go hunt and enjoy the Outdoors, enjoy life for what it really is. Ford is better, no Chevy is better – STFU and go do some soul searching! I used to shoot compound and longbow in target competition. I have started using a recurve crossbow. Its only a 90lb excalibur point blank and can get tight groups with a pin sight shooting off hand (using my front arm like a rest with the elbow against the ribs) from 60 meters outdoors. If I had a higher velocity crossbow with a scope I am confident that I could be much more consistent then what I was with a compound bow. To get similar consistency with a compound vbow I would have to have a massive stabilizer on the front with weights (which is the setup that would be used in target competition) and I just found that rediculous, unpractical. So its really personal preference. I would also think that a Scorpyd SLP shooting at 425FPS could out perform a vertical compound bow easily as its balanced to be shot off hand and can also be used on a rest with a scope. Yes, I know I'm late to the thread. Why anyone would even waste their time opining on what kind of tool another chooses–especially when there is in effect so little difference at the target–I have no idea. I use a recurve, #80 draw. My reasons: I don't like the expense of chasing technology, I don't like maintaining mechanics, & the draw was the best tradeoff for me. When the day comes I can't handle it, I'll re-evaluate. Use whatever you want for whatever reason. The challenge to harvesting a deer with a bow shouldn't be the shot itself but rather the hunt itself. The challenge should that of out smarting your quarry to get into close range for a shot. Besides that, those of you who do not hunt with a log bow or recurve are hypocrites when you act like you've done something so hard by using a compound bow. Your so full of it. Personally I treasure all the available hunting weapons at our disposal. Each has its on characteristics that make hunting more pleasurable. Hunters are on the decline throughout America. Anything that helps to keep the hunting tradition going is alright by me. We have enough problems with the Anti's that we don't need to fight amongst ourselves. We should be sticking together. My 2 cents. Try shooting a Scorpyd Cross bow With the reverse draw has the long power stroke like a vertical bow and the weight is in the middle of the crossbow. Only 165# draw with 165 Ft. Lb of kenetic energy and 425 ft/sec. with a 22″ bolt. same hole accuracy at 50 yards if rest aim and a scope for aging eyes “Awsome wepon” for a person that still loves and had mastered a vertical bow 3 arrows at 40yds in a 1″ circle and enjoyed the outsmarting the deer by having to slow or fast draw when you can’t see the deers eyes and they are moving so they can’t hear you and I harvested many great bucks, but can no longer use it because of elbow and shoulder and will not sell because of good memories. Just get out there and hunt and enjoy nature and what deer God sends you! I have been using a compound for many years. Just started having a bad case of target panic. So I picked up a crossbow, something I swore I would never own, to hunt with while “fixing” my panic issue. I do enjoy the feel of a vertical bow much more. Just needed a different tool for the job. I can’t use a compound yet because my RC tear. After it gets fixed, I’m going to use a compound. Been xbow hunting a few years now. I have two, Barnes and Hickory Creak (vertical xbow mini). I hunt in tree climber. Pros of xbow: easy to sight in. Easy to shoot deer from tree stand…faster reaction towards target. Cons: Pain /annoyance to unload. Do have to watch your hands by string. In rain and cold/ might scopes fog up/or streak. I’ve missed out on many deers due to this. Also, practiced with same exact brand of arrows, they can vary 6 inches. Xbows bolts can go into practice targets up to fins, so loose arrows allot. Xbows scopes are never dial in right, bulls eye might be 20-25 yards but next landing is 35 years, so you have to shoot in between landings at 30. Worst at 40-50 yards. Maybe if garmin can release a xbow scope, might change things. But I’m going to try a compound.